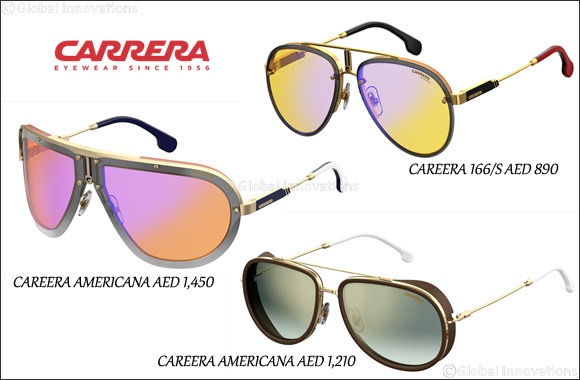 Dubai, UAE, October 21, 2018: Carrera, the iconic eyewear brand owned by Safilo, the fully integrated Italian eyewear creator, manufacturer and worldwide distributor of quality and trust, announces its entry into Formula 1 with a multi-year sponsorship agreement with the Alfa Romeo Sauber F1 team. Since its creation, Carrera has always followed the passion for sport, alongside sporting legends in different fields. Carrera's founder, Wilhelm Anger, named his Company after the most legendary car race in history, the Carrera Panamericana, drawing inspiration from what, back then, represented the future. Unconventional and daring, the Carrera's 2018 collection pushes the boundaries of design to the highest peaks of distinctiveness, introducing a rich and outstanding design language with a complete product offer, that combines the most iconic and recognizable details of the brand, such as the “C” logo, the qualitative and cutting-edge lens offer and the “Tank” hinge. All of that thoughtfully finished by the new brand's graphic element - the Flag symbol: Carrera's signature detail reminiscent of the brand's sports heritage. To celebrate the present, Carrera comes back to one of the passions that made its history: F1. With this sponsorship, the Carrera logo joins the Alfa Romeo Sauber F1 distinctive colors, putting the champion eyewear brand in a prominent position in Formula One.